Student Internship Management Services (SIMS) is a progressive, multi-year sequence of instructional activities, within a real-world, work-related context, that allows students to build a bridge from adolescence to adulthood. The SIMS program is a central function of the Career and Technical Education (CTE) mission whereby students are able to apply their classroom knowledge and skills to a structured professional environment- narrowing the gap between learning, future employment, and their post-secondary education. For more information please contact Shakira O’Kane at SOkane2@schools.nyc.gov. The JRC coordinates law-related internships with the SIMS Office for CTE-participating public school students in the Fall, Spring and Summer. The learning sequence details the activities that our students participate in as a precursor to their capstone internship participation. Our students are matched with industry partners who serve as hosts for their internships. 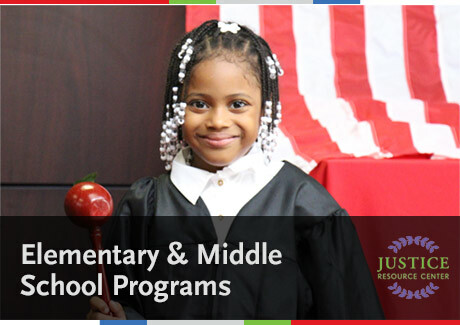 In addition to the goals set forth for all SIMS programs, the JRC strives to provide our students with an experience that will broaden their knowledge of the career options within the legal profession and equip them with a solid skill-set to assume entry-level roles after high school while pursuing their post-secondary education. For schools to apply for Supplemental Internship Funding (SIF), please complete the SIF application the required documents below for your school’s program.